Melbourne, FL – March 1, 2016 – The Preeclampsia Foundation announced today that KROMA® Makeup, a central Florida-based professional makeup line, will be launching a new “Promise Me” botanical collection to benefit the Foundation’s mission and raise awareness of preeclampsia. Preeclampsia is a potentially life-threatening hypertensive disorder of pregnancy that affects approximately five to eight percent of all pregnancies in the United States. The general public is invited to vote here for their favorite lipstick choice for the official Spring/Summer “Promise Me” color now through March 15, 2016 from three lip color choices: “Promise Me ROSES”, “Promise Me ENCHANTED”, or “Promise Me CHOCOLAT.” No purchase is necessary to vote. The winning “Promise Me” lipstick color will be paired with a blush and eye shadow in complementary shades; the “Promise Me” color collection will then be announced on March 16, 2016 and made available for purchase via the KROMA® website at www.kromamakeup.com. Ten percent of all sales from the “Promise Me” collection will benefit the Preeclampsia Foundation. An additional color contest will be run for their Fall/Winter collection. 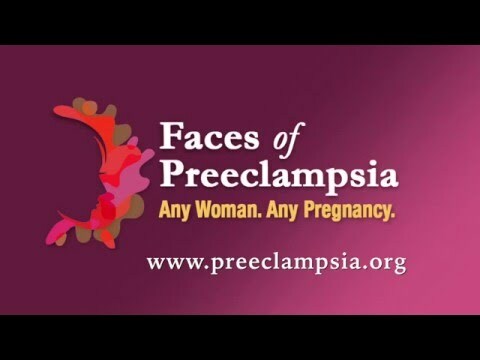 “This unique partnership with KROMA® Makeup represents a mom-centric opportunity for us to raise awareness of preeclampsia,” said Preeclampsia Foundation Executive Director Eleni Tsigas. KROMA® is a national sponsor the Promise Walk for Preeclampsia, which will host 40 events nationwide in May and June. May is National Preeclampsia Awareness Month, deliberately chosen to coincide with Mother’s Day weekend. As many as 300,000 expectant mothers are affected each year by preeclampsia, with approximately 25 percent of those resulting in serious adverse outcomes to mother, baby or both. About KROMA Makeup: A luxury and complete professional makeup line created by Professional Makeup Artist Lee Cristou, KROMA® was born in 2000 to cater to the healthy-conscious. The KROMA® collection is unique due to its’ rich pigment, durability, high-grade minerals and natural preservatives safe for the most sensitive skin. KROMA® means color in Greek and founder, educator and celebrity makeup artist Lee Cristou has selected all of the shades and has personally made all of the formulas so that you know no matter what your preferences are, KROMA® Makeup will fit any lifestyle and any skin or age range.